Pranab Mukherjee said a parliamentarian owes the membership of Parliament to none but the people, as each of the members of Parliament and even the President of India has to seek and "beg" for the votes to get elected. Pranab Mukherjee said a parliamentarian owes the membership of Parliament to none but the people. 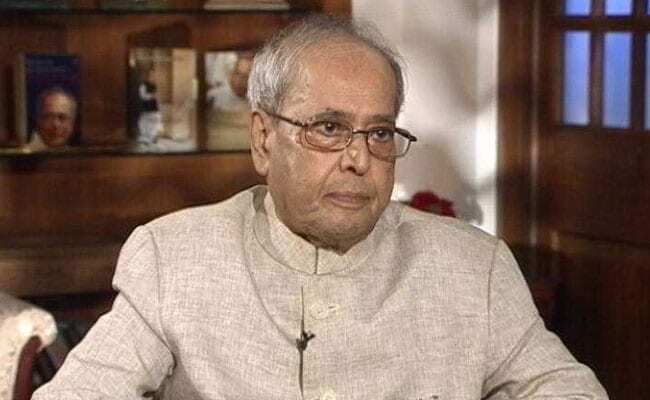 New Delhi: Former President Pranab Mukherjee today said disruption in Parliament was a "betrayal" of the people and that it provided "a helping hand" to the government by scuttling the opposition space. Speaking at the launch of former Finance Minister P Chidambaram's book, 'Speaking Truth to Power', Mr Mukherjee said in this volume the senior Congress leader has done what an opposition leader should do -- speak the truth on behalf of the people. "Unfortunately, in our democracy,...quite a few do not agree with me as I am one of those who firmly believe that disruption in Parliament is the most betrayal to the commitment to the people of this country," he said. Mr Mukherjee said a parliamentarian owes the membership of Parliament to none but the people, as each of the members of Parliament and even the President of India has to seek and "beg" for the votes to get elected. The former president said that after seeking the vote, thereafter finding out a theoretical proposition that disruption is an effective parliamentary intervention, "unfortunately, I am one who does not agree with it." "I do feel, particularly the opposition space, is hit more when Parliament is disrupted. And, in one way or another, instead of opposing the government, it serves some sort of a helping hand to the government of the day," he said. Congratulating Mr Chidambaram for writing the book, Mr Mukherjee said the former finance minister had not only thought of his own feeling and sentiment but also reflected the spirit of the people. Mr Mukherjee said he and Mr Chidambaram have been colleagues in the Congress party and have spent their political careers under some common prime ministers starting with P V Narasimha Rao and Manmohan Singh, who was present in the audience. Former vice president Hamid Ansari was also present. He said both of them have shared their views at party platforms with fellow Congressmen, but "it is not always that we agree". "But that is the beauty of democracy. It is that it has enough space to accommodate all views, all the opinions. That is why he has assumed to speak the truth on behalf of the people who do not see 'eye to eye' with the policies of the policy-makers of the day," he said. A number of senior Congress leaders were present at the book release function.